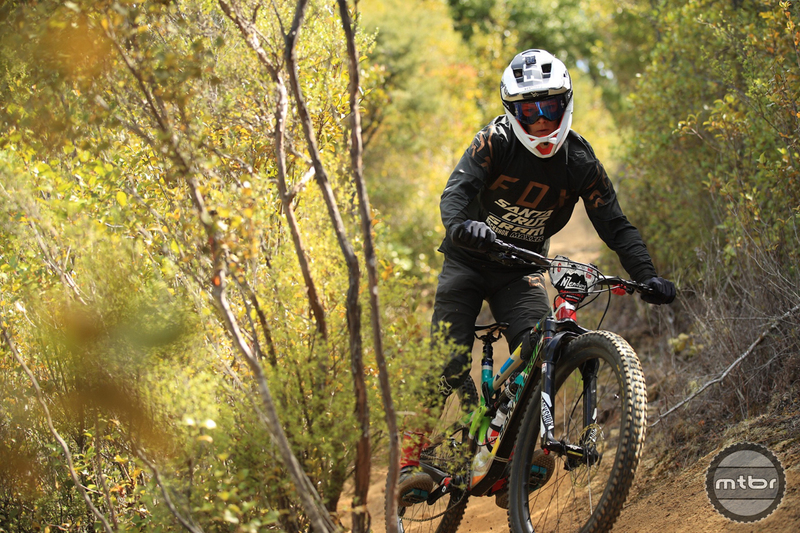 This year, the Santa Cruz Bikes/SRAM EWS Team consists of three riders, Iago Garay, Mark Scott, and Josh Lewis. 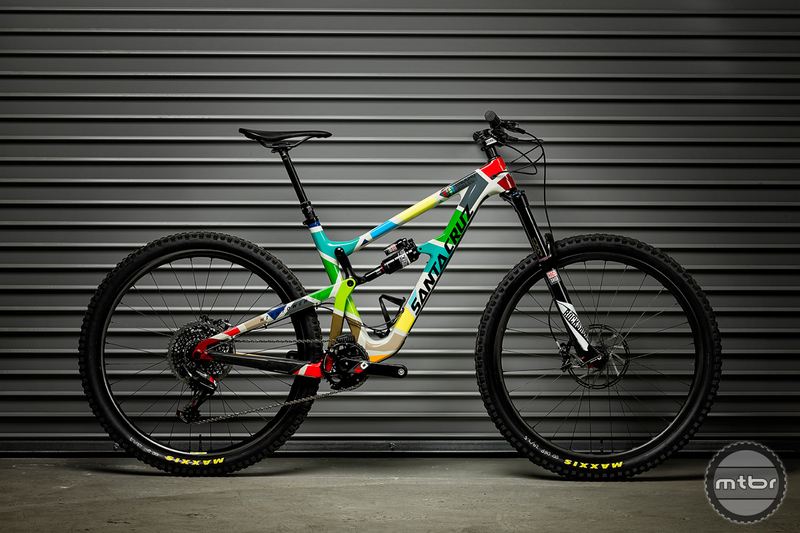 Each will be riding a Hightower, which has been given a custom paint scheme based on the Enduro World Series logo. Despite sharing the same basic design, each has a unique base color. 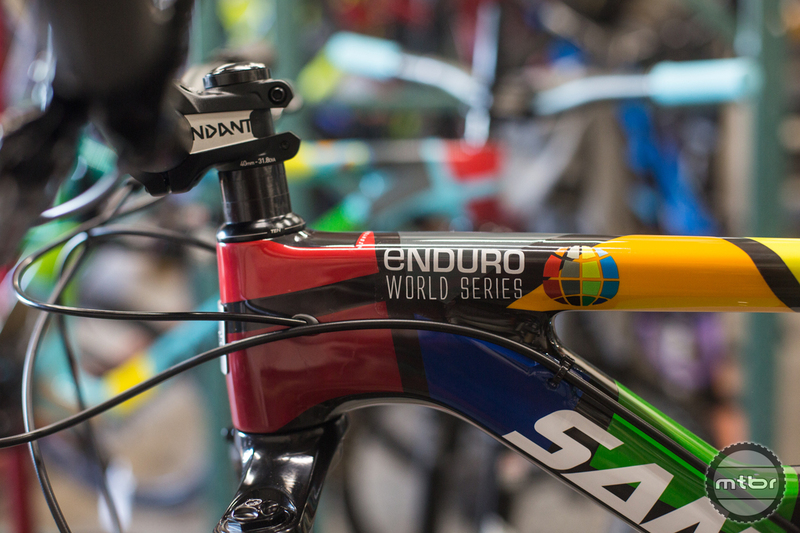 For Josh Lewis, Santa Cruz went with black. And for Iago Garay, Mr. #Doyouevendrift, a powder blue base coat with matching grips. 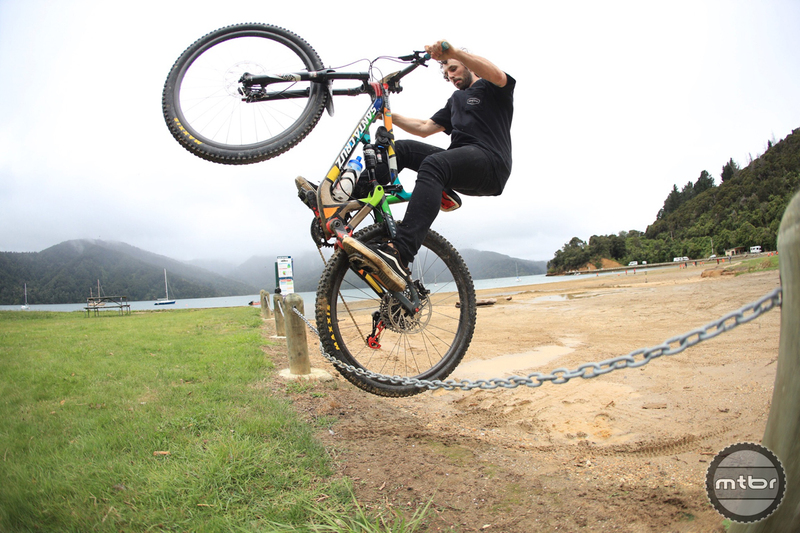 Want to see the bikes in action? 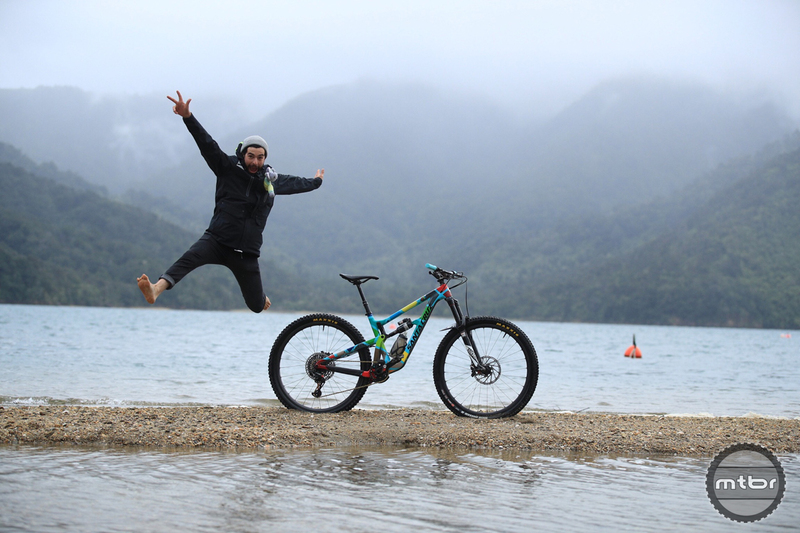 Click play to see the boys join Jamie Nicoll on a New Zealand adventure between the NZ Enduro and the first Enduro World Series race in Rotorua. Would you rock one of these custom Hightower’s? Which one is your favorite? A great mastery of colors ! Resembles Vasarely ( the Hungarian Painter !). beautiful ! much nicer than flat black!